These days, nobody feels that their finances are actually where they should be. Considering the fact that 2008 gave us all a harsh hit, that’s quite normal. When it comes to moving to Feltham, TW13 or to any other of the areas in the UK, people are trying to save as much money as they can. Again, that’s perfectly fine as well. However, you should keep in mind the fact that saving money on professional removals services is not the best choice you have. In fact, you risk wasting money, time and even your health away on such savings. Just think of it, accidents can happen and you or someone who helps you move could get hurt. Improper carrying of your personal belongings can hurt them as well and this will cost money to repair or replace them. Spending countless hours in packing, moving and unpacking things is not actually beneficial. Moving Service can help you. At a reasonable price, we can provide you with a wide range of moving services in TW14 area and we can help you make sure that everything you own is properly packed, carried and transported to the desired destination. Call us today on 020 8746 4402 and find out more. The area is the kind of old town charming to its very core. With a history that goes even farther back in time than the 15th century and with natural surroundings that complement the small-town feeling this place has, the area is a very nice place to live in regardless of who you are. As part of the London Borough of Hounslow, the area is quite close to London itself – about 30 minutes by train and about one hour by car. The town is abundant of splendid places to spend your time at and it will never actually get you bored. From a cute and really useful shopping hub to beautiful and relaxing parks (including an absolutely charming country park) and from community centres to places you can simply take a walk in, there is really something for everyone. The schools have great sports facilities too, so if you have kids, you will be delighted to find out that they can learn a healthy lifestyle in school here. And to sprinkle everything with a bit of celebrity news, Freddie Mercury resided in the area for a while. Feltham Movers: Can They Really Help? Moving Service knows exactly how to make sure that you are happy with the removals services in Feltham, TW13 you receive from us. We want you to be 100% satisfied with us from the moment you give us a call on 020 8746 4402 to the moment we bid farewell and see you established in your new home, we will do everything in our power to keep you happy. We will bring as many people you need (two are usually enough for a fairly large household, but if you need more, just let us know). We will also bring a removals vehicle in TW14 area suitable for the size of your household and we can also help you clean up the mess left behind by packaging. We can actually help our clients pack and unpack their things and this may come extremely useful for those of you who don’t have enough time and for those of you who want their belongings to be properly packed for transportation. Just contact us and tell us about your situation and we will offer you a free quote! Greatly recommend this moving company. 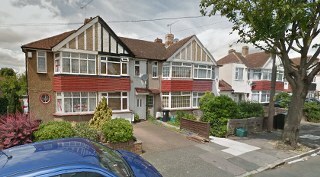 They were an easy find, as they were located in Feltham TW13, so we just asked around and found that they had a good reputation within the community. When we booked them, they were out like a flash and began to tackle the job at hand. In just under 3 hours we were in our new flat!